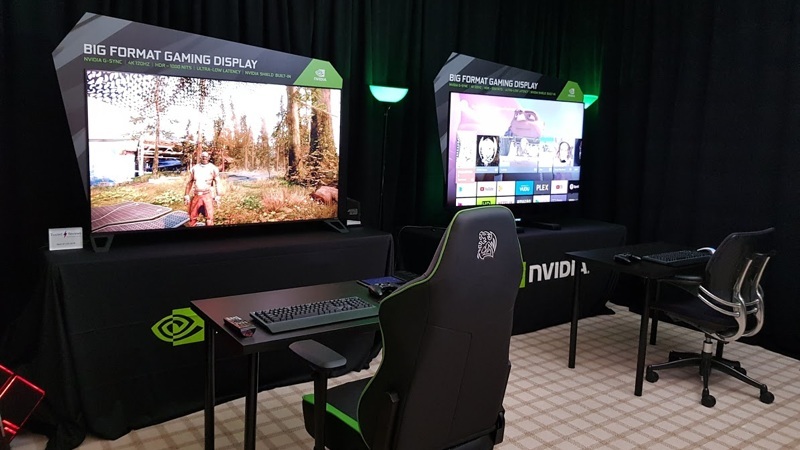 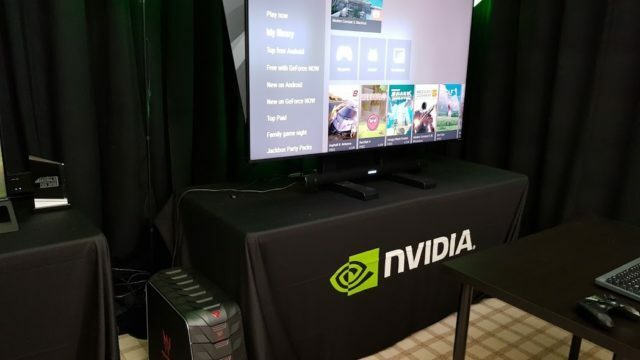 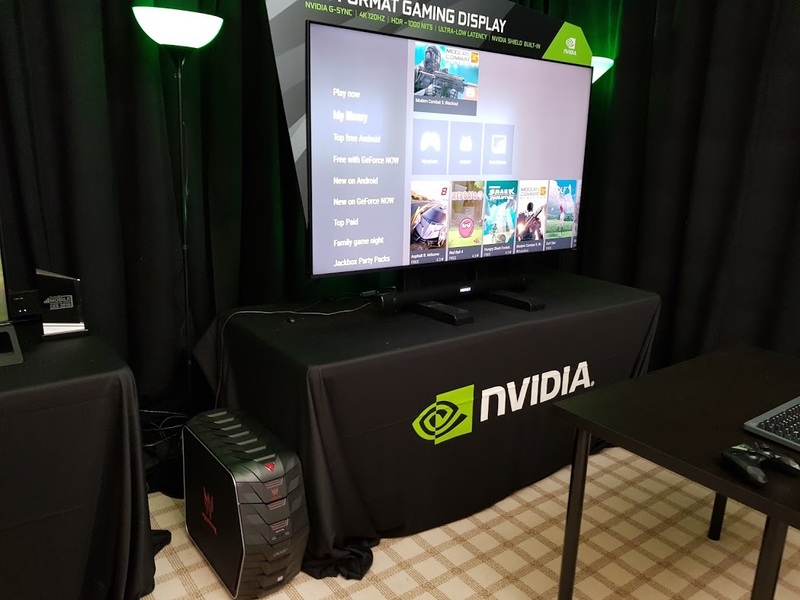 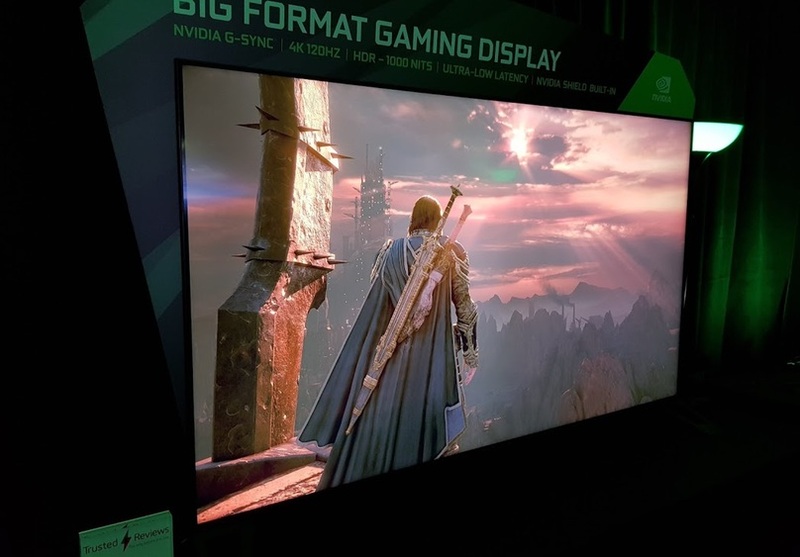 The 65-inch, 4K 120Hz HDR displays feature Nvidia G-Sync and Shield, and are aimed at the high-end gaming market. 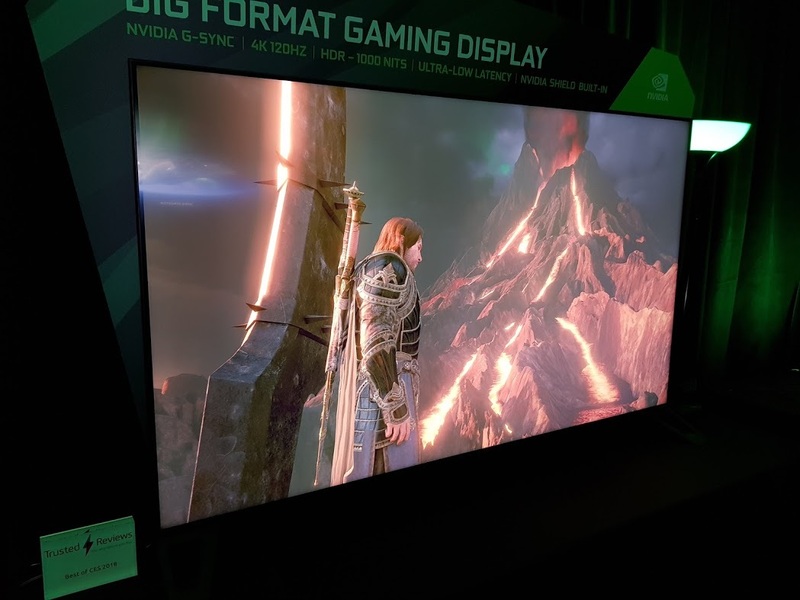 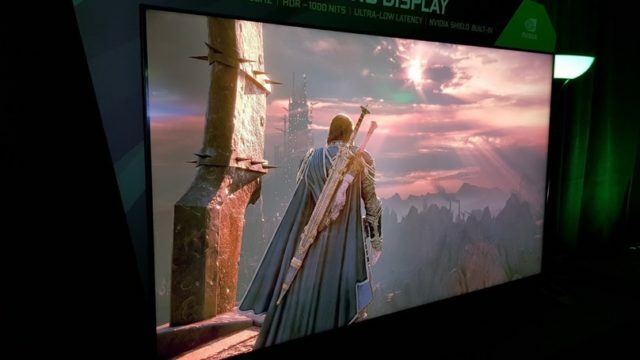 To show off the capabilities of the displays, including their support for high dynamic range, Nvidia displayed screenshots of Middle-earth: Shadow of War and live gameplay from Destiny 2. 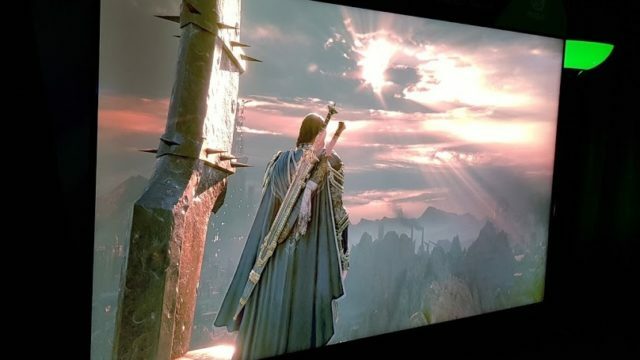 The photos of Shadow of War with and without HDR, posted below, don’t do it justice – the visuals were stunning. 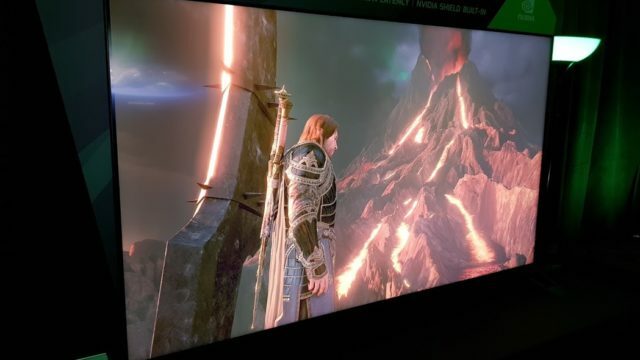 In the first set of screenshots, the shadows, lighting, and smoke with HDR were brilliant in comparison to the non-HDR image. 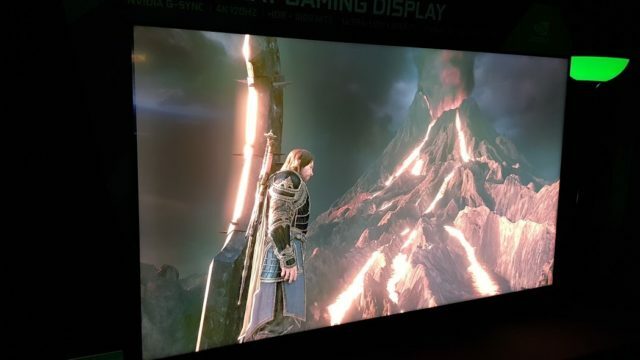 In the second set, the mountain and lava are flat without HDR in comparison to when HDR was enabled. 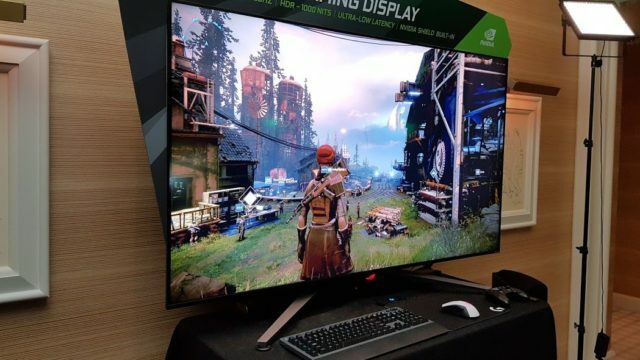 The Destiny 2 demonstration was running on a PC with a GeForce 1080 Ti with the graphics settings cranked to the maximum. 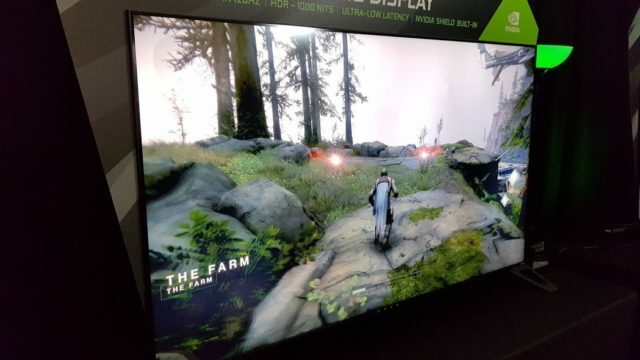 This means the game was not running at 60 frames per second, as achieving 60fps at 4K requires two 1080 Ti’s running in SLI. 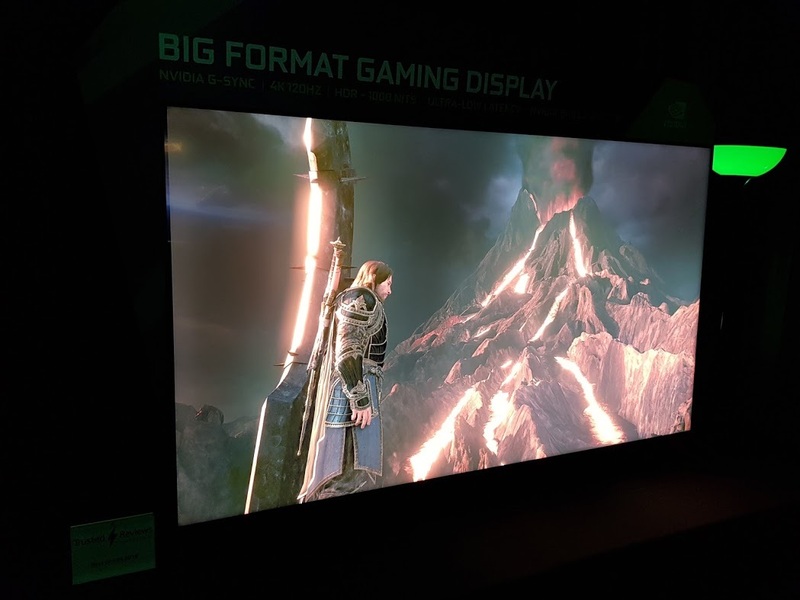 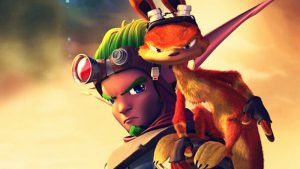 Allowing the demo to run at a lower frame rate let Nvidia show off its G-Sync technology, however. 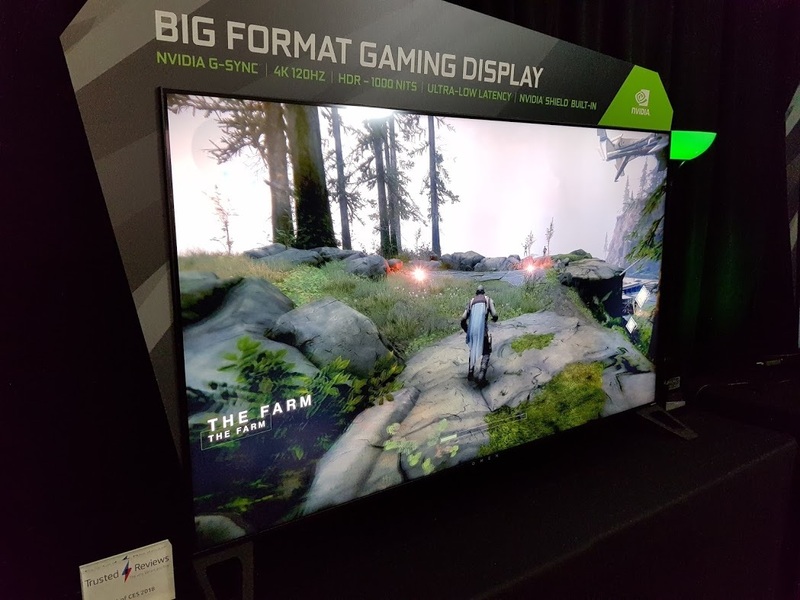 Destiny 2 therefore handled well in large outdoor areas and inside buildings, and looked gorgeous on the Nvidia BFGD monitor. 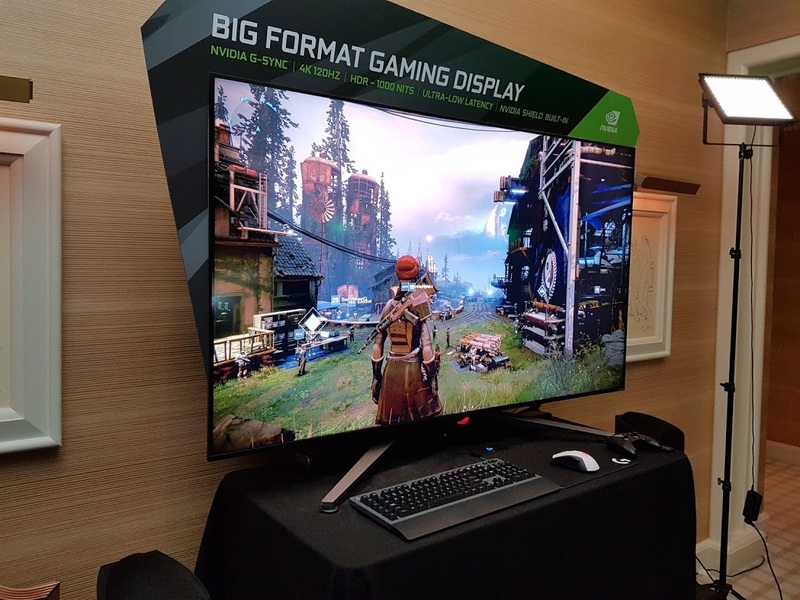 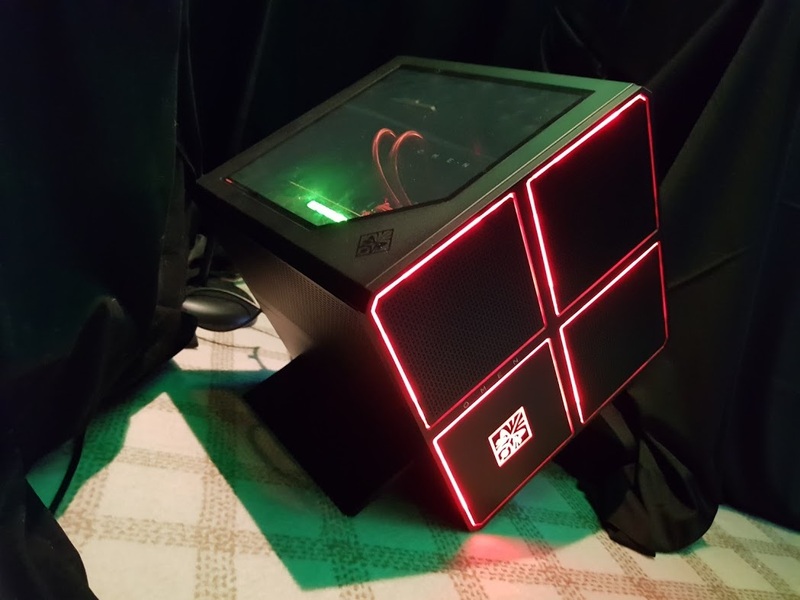 The images below show Destiny 2 running on an HP OMEN and ASUS ROG Nvidia-powered BFGD. 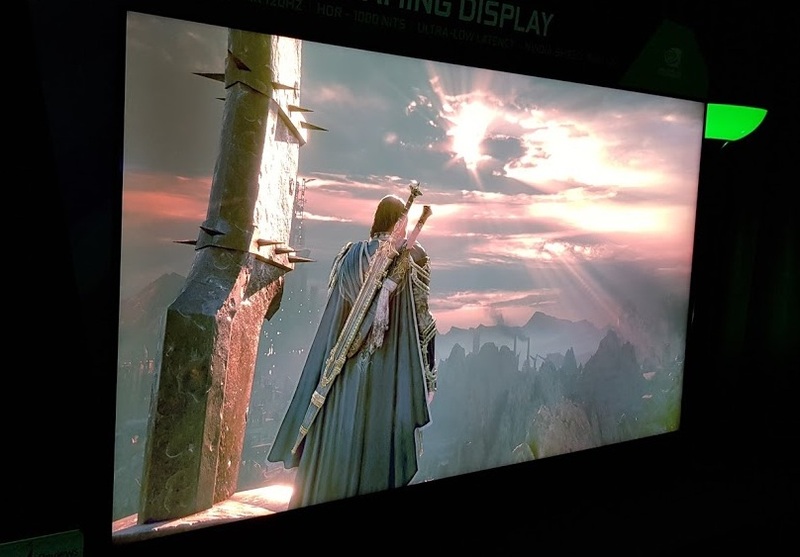 The new Nvidia displays feature a full-array direct backlight, 1,000-nit luminance, and DCI-P3 colour gamut for high visual quality. 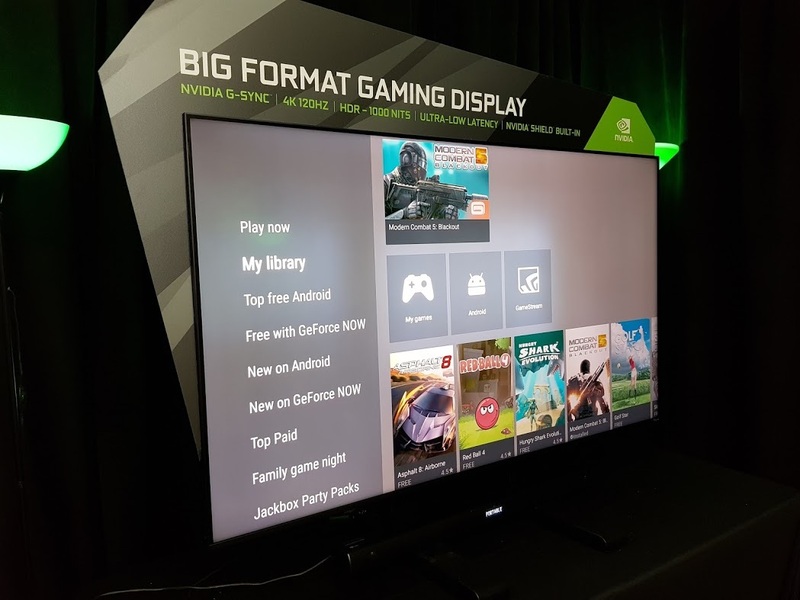 Availability is expected in mid-2018, when pricing and full specifications will be announced. 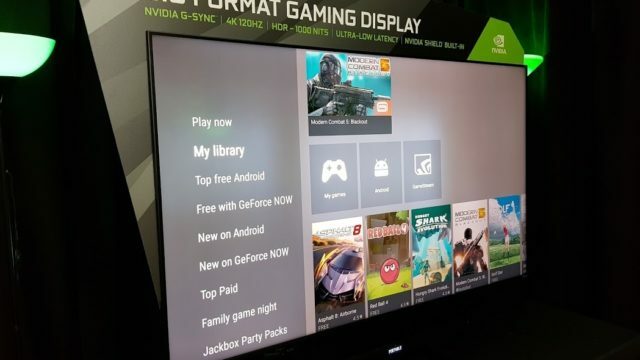 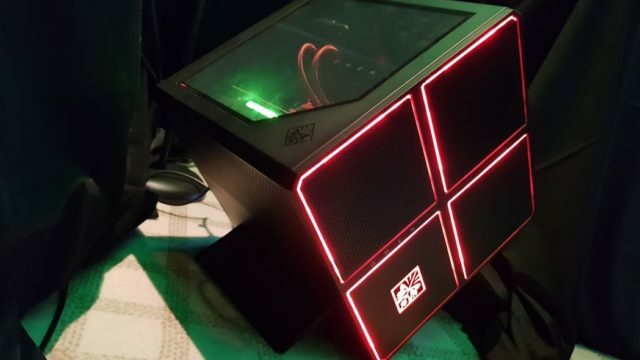 The photo below shows the interface of Acer’s Nvidia BFGD.